In CaptureSpace you will find a Settings tab. This allows you to change some of the settings used while recording and will affect your final output. Click on the Settings tab to view your options. Local File Storage Location: This is where files are being saved on your machine; you can change that destination here at any time. Select a Webcam: You can choose which webcam you want to use if you have multiples. Select a Microphone: You can choose which microphone you want to use if you have multiples. 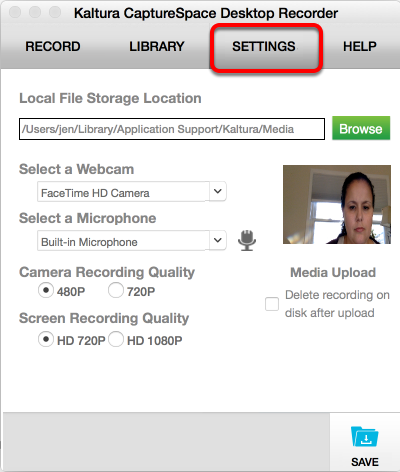 Camera Recording Quality: You can change the camera recording quality settings. A higher resolution will result in a larger file size. 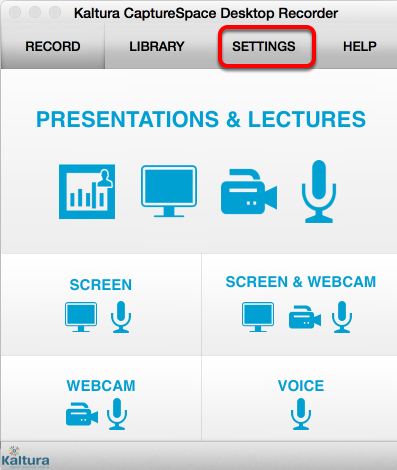 Screen Recording Quality: You can change the screen recording quality settings. A higher resolution will result in a larger file size. 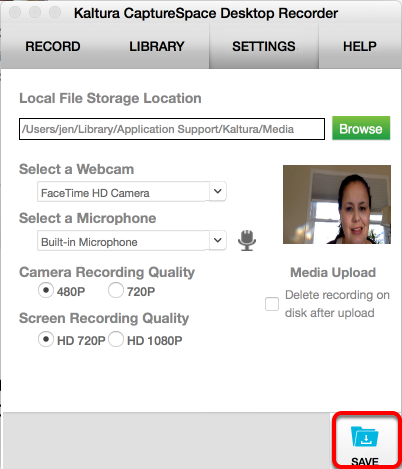 Media Upload: You can choose to delete the recording on your machine as soon as you upload. If you have changed anything about your Settings you will need to click on Save to apply these changes.